This verse doesn’t say either way that God made mankind as equals, only that they were made as male and female – which are two different kinds of mankind. Because they were made different, there allows for an inequality in that a denial of inequality is not expressly stated. I mean, think about reading this verse before feminism changed our understanding of humanity. Would you interpret it in such a way that men, with their natural leadership and women with their obvious submission, are equals? Further, Eve’s femininity has to come from somewhere – or else she’s something that is not in God. Yet suggest that there’s something feminine about God and people will jump down your throat as a heretic because God the father is male, God the son is male, and the holy spirit – is probably male, too. If we can’t honor the divine feminine in God, then how can we hope to honor it’s replica – the feminine in women? Genesis 2 has been interpreted, re-interpreted, and misinterpreted to death – and then some. The Bible authors refer to it and people read the New Testament into it all the time. Culturally speaking, a lot of times “the help” is considered as inferior. The fact we have to fight that tendency by reminding people over and over again that help isn’t inferior, that God is known as Israel’s help and he’s not inferior – shows you how deeply ingrained that attitude is – but it’s hard to put it to rest given that women are put in a position where they are not in any true sense of power. Women help men, but men aren’t thought of as women’s helpers, are they? Genesis 3 – English betrays us here. The talking serpent uses a plural “you” when it asks the woman (she has no name yet, she’s possibly She-Adam and he’s He-Adam, it’s hard to say from the ancient tongue how they’d distinguish them.) about eating from trees. Given that the serpent is intelligent enough to speak and form a coherent sentence, it seems quite a flaw to go to up to someone and say “y’all” unless that’s just what it meant. So the man was there with her and not really doing anything to stop her or to jump into the conversation. Only after she is cursed does she get the name Eve. Many use this moment, as well as the earlier poem to assert: “Adam names her woman, then Eve, therefore he has authority over her – as all namers have authority over all namees.” So every which way, they find a reason to say Adam has authority over Eve, by being created first, by naming her, by being directly in God’s image and not as a derivative image bearer. Since then, men have been asserting authority over and ruling women. 1 Timothy 2 is one of those sets of verses that are often used to interpret Genesis 2-3 because of the reference to Adam and Eve. The question of modesty may very well be resolved when one considers that women rarely dressed as to be sexually provocative in ancient Israel (or modern Israel or in the modern Middle East) because of the extremely prevalent cultural disapproval of such attire – rather, it existed to tell the rich women to stop dressing to the nines in such a way that the poor women felt under-dressed and outclassed in church. But even so, the rule that women must be quiet, is forbidden from teaching, and can only be saved through childbearing is more than enough reason to have qualms about Christianity. But this is the church in Ephesus, and most of the women in question are ex-priestesses. If one takes that into account, then the rule could be understood as: “Women should learn the ropes of Christianity before taking the reigns.” I’d like to imagine such rules as training wheels, meant to guide an ancient church until such time that they’re no longer needed. They might not have been culturally open to women being teachers and elders, but surely today that should be okay by God given how men and women are educated equally and breadwinners equally. In fact, let’s take a moment to consider how the early church operated: Grapte was a co-leader, working alongside Clement to teach the widows and the orphans. Jerome once referred the elders of the church to Marcella for education on a tricky theological point. Two deaconesses were brought before a leader to answer for their faith. Women had a role in the early church that has been denied them in the modern church. As a single individual, these marriage-centric focus really leaves me outside of Christianity. I’m not fulfilling my role – I’m a nothing. Ancient Israel’s families were nothing like ours, their households contained a head of household, usually a father, and oftentimes, the master of the slaves. He was married to his wife, who could order some slaves, didn’t have a lot of authority over her kids, but that’s their culture. The kids – well, the Bible says that a kid is pretty much along the same lines as a slave – up until inheritance or coming of age. So they didn’t have it all that sweet either. The wives and the slaves had the same order: submit. One wouldn’t eternally order the institution of slavery as one of permanence built on God’s design, but marriage does just that. The problem is that people have this great skill at taking anything and twisting it – God might have meant slavery to be a beneficial program, an early version of welfare – but people oppressed each other. So too, with these verses on marriage, much harm has been done. Some wives have been taught to NEVER tell their husbands “no” because that’s not submitting to them in everything. I’ve seen men who use the “I’m the decision-maker” card to give themselves whatever they want. One man advocates “punishing” his wife by not giving her the things she wants, like a dishwasher, when she’s not being sufficiently submissive. Oh, and these are all Christian misinterpretations of the text, some preached from a pulpit as if it were out of the mouth of God. And here I am thinking: “estas igrejas são loucas” – these churches are crazy, It’s a good thing I didn’t tell them I’m multilingual. Thank you for taking the time to read my post and to comment with such detail and thought! I definitely feel that this is a subject that can be interpreted many different ways, and fortunately, the beliefs and opinions we form on it do not actually effect our salvation. So, surely we can disagree on the details. Please note: I am not interested in debating on my blog, but I feel I need to respond to the questions my readers might have after reading your comment. Please, do not take it as a challenge to your beliefs, rather it’s an expansion on what I wrote before. It’s not my place to convince anyone to believe as I do. Regarding Genesis: the reason I conclude that God creating man and woman in his image makes them equal, is that humanity is the only thing in all creation made after God’s likeness. Consider the trinity. The Father, The Son, and The Holy Spirit are all equally God but they all serve a different role. The Father is the creator and author of all things, The Son is the savior and the bridge between sinners and the Father, and the Holy Spirit is the helper. While they have different roles – like man and woman – they are still equally God and equal in importance. So, God created a man and a woman for different purposes, but neither is less important when you consider they are both made in God’s likeness. Also, notice how the Holy Spirit is often referred to as “The Helper.” Just as woman is referred to as a helper. Perhaps this is that femininity in God? While the Holy Spirit is also referred to as male, he serves as our Helper, guide, and source of power and strength. I think that alone tells us the title of “helper” is incredibly important and equal in value. I am honored, personally, to share that title with the Holy Spirit! However, all that being said, we live in a fallen and authoritarian world. One of the enemy’s favorite things to do is to twist and turn the Word of Truth so that it sounds right, but it’s still lies. Basically: lies wrapped in truth. Obviously, with a highly spiritually disconnected society (now and throughout history) the world would take advantage and misuse what God was saying. In religious culture (relying on rituals and not seeking the Holy Spirit’s guidance), people are likely to enforce irrelevant to our time rules – such as women not being able to have power. In that sense, I wholeheartedly agree with the comment here. The world is ridiculously good at going against God’s Truth, and often, without even noticing it. I definitely believe women have a prominent place in the church and it doesn’t always mean teaching children – though that is important, both genders can perform that. The Holy Spirit can speak through whomever he wants, whenever and wherever he wants – so long as that person is listening and obeying him (and even sometimes when they aren’t). I don’t think the Holy Spirit is going shy away from using a woman as an instrument just because she’s a woman. Lastly, my post was not meant to say unmarried women are “a nothing.” In fact, Paul even mentions that being single is better than being married, because if you are single than you can focus completely on God, but when you are married, now you are focusing on God and someone else. Of course, marriage is also a wonderful blessing. Both are great in their own way. I constantly emphasized that the verses I used were about married couples because it’s important to notice it’s a relationship-design not a culture-design. Women are not asked to submit to all men. It’s only to their husbands, who are asked to sacrifice everything for their wives. This means that woman can be managers, governors, captains, world leaders, etc. Unfortunately, cultures (and many crazy churches!) still take advantage of women – I am not in denial of that. 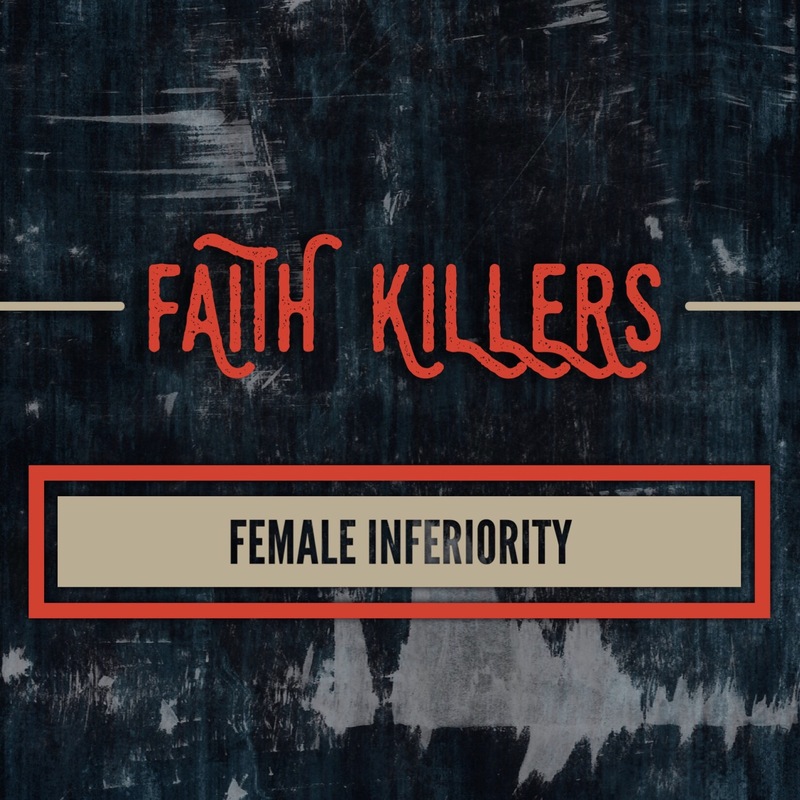 I simply wanted to offer another viewpoint on women’s roles in a Christian belief system, hoping to help those that believe God views women as inferior to men.